SK 3/c James S. Fife, son of Mr. and Mrs. E.M. Williams, attended Frederick High School. 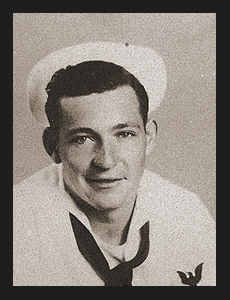 Entered the Navy in Feb., 1942, trained in Farragut, Idaho, San Diego, Cal. ; served in New Guinea, the Philippines, Bougainville, Guadalcanal, and New York City, N.Y. Awarded ETO Ribbon with three Battle Stars.